1. Benjamin Redman, born August 03, 1750 in Prince Georges Co. ,MD. ; died 1833 in Bartholomew Co., IN.. He was the son of 2. John Redman IV and 3. Sarah King. He married (1) Anne Wynn 1773 in Prince Georges Co.,MD.. She was born April 30, 1755 in Piscataway,Prince Georges Co.,MD., and died September 03, 1820 in Clark Co.,IN.. She was the daughter of Josiah Wynn and Anne Dunning. 2. John Redman IV, born 1716 in Prince Georges Co.,MD. ; died January 1777 in Prince Georges Co.,MD.. He was the son of 4. John Redman III and 5. Rebecca //. He married 3. Sarah King 1745 in St. Mary's Co.,MD..
3. Sarah King, born 1726 in Bartholomew Co., IN..; died March 1773. She was the daughter of 6. Francis King and 7. Margaret Sprigg. i.John C. Redman, born 1746 in St. Mary's Co., MD. ; died September 30, 1816 in Guernsey Co.,OH. ; married Chloe Wynn Abt. 1769 in MD; born April 28, 1751 in Piscataway,Prince Georges Co.,MD. ; died 1806.
ii.William Redman, born 1748 in St. Mary's Co., MD. ; died Abt. November 1815. 1iii.Benjamin Redman, born August 03, 1750 in Prince Georges Co. ,MD. ; died 1833 in Bartholomew Co., IN; married Anne Wynn 1773 in Prince Georges Co.,MD..
iv.Francis Redman, born July 19, 1752 in Prince Georges Co.,MD. ; died Abt. January 1817; married Elizabeth //. v.Joseph Redman, born June 06, 1755 in Prince Georges Co.,MD; married Sarah Windsor April 24, 1778 in Montgomery Co.,MD. vi.Charles Redman, born May 24, 1757 in Prince Georges Co.,MD. vii.Jesey King Redman, born October 31, 1760 in Prince Georges Co.,MD. viii.Lewey Redman, born August 12, 1763 in Prince Georges Co.,MD. 4. John Redman III, born 1688 in Westmoreland Co., VA.; died March 1745 in St. Mary's Co., MD.. He was the son of 8. John Redman II and 9. Mary //. He married 5. Rebecca // in Westmoreland Co.,VA..
5. Rebecca //, born Abt. 1692 in Westmoreland Co., VA..
i.James Redman, born Abt. 1712 in Westmoreland Co., VA.
ii.Jeremiah Redman, born Abt. 1714 in Westmoreland Co.,VA. 2iii.John Redman IV, born 1716 in Prince Georges Co.,MD. ; died January 1777 in Prince Georges Co.,MD; married Sarah King 1745 in St. Mary's Co.,MD..
iv.Benjamin Redman, born Abt. 1718 in Westmoreland Co.,VA. v.Martha Redman, born Abt. 1720 in Westmoreland Co.,VA. vi.Mary Redman, born Abt. 1722 in Westmoreland Co.,VA; married // Lurty. vii.Elizabeth Redman, born Abt. 1724 in Westmoreland Co.,VA; married // Adams. viii.Thomas Redman, born Abt. 1726 in Westmoreland Co.,VA. ix.Eleanor Redman, born Abt. 1728 in Westmoreland Co.,VA; married // Cox. 6. Francis King, born in MD. ; died Bef. 1755 in MD.. He married 7. 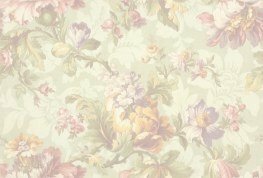 Margaret Sprigg September 26, 1717 in Prince Georges Co. ,MD. Queen Anne Par..
7. Margaret Sprigg, born 1700 in Prince Georges Co. ,MD. 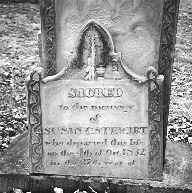 ; died 1755 in MD.. She was the daughter of 14. Col. Thomas Sprigg and 15. Margaret Mariarte. 3i.Sarah King, born 1726 in Bartholomew Co., IN..; died March 1773; married John Redman IV 1745 in St. Mary's Co.,MD..
8. John Redman II, born 1667 in Westmoreland Co.,VA. ; died February 1731 in St. Mary's Co.,MD.. He was the son of 16. John Redman I and 17. Mary Harris. He married 9. Mary // Bef. 1688. 4i.John Redman III, born 1688 in Westmoreland Co., VA.; died March 1745 in St. Mary's Co., MD; married Rebecca // in Westmoreland Co.,VA..
ii.Solomon Redman, born 1690 in Westmoreland Co.,VA; married Mary Stewart Abt. 1711 in Westmoreland Co.,VA; born Abt. 1680 in VA..
iii.Frances Redman, born 1693 in Westmoreland Co.,VA; married William Fryer. 14. Col. Thomas Sprigg, born 1668 in Calvert Co.,MD. ; died 1730 in Prince Georges Co.,MD.. He was the son of 28. Col. Thomas Sprigg and 29. Eleanor Nuthall. He married 15. Margaret Mariarte 1690 in MD..
15. Margaret Mariarte, born Abt. 1670 in Anne Arundel Co.,MD. ; died November 1739 in Prince Georges Co.,MD.. She was the daughter of 30. Edward Mariarte and 31. Honor Osborn (O'Brien). i.Thomas Sprigg, born Abt. 1695 in Prince Georges Co.,MD. ; died 1725 in Prince Georges Co.,MD; married Margery Wight 1715.
ii.Edward Sprigg, born 1697 in Prince Georges Co.,MD. ; died November 30, 1751 in Prince Georges Co.,MD; married (1) Elizabeth Pile April 26, 1720 in Queen Anne Parish,Prince Georges Co.,MD; married (2) Mary Belt Bef. 1749.
iii.Priscilla Sprigg, born Abt. 1698 in Prince Georges Co.,MD. ; died 1759 in Prince Georges Co.,MD; married Ralph Wright Crabb August 22, 1716 in Queen Anne's Parish,MD; born 1694; died 1734.
iv.Eleanor Sprigg, born Abt. 1699 in Prince Georges Co.,MD; married Henry Wright 1716. 7v.Margaret Sprigg, born 1700 in Prince Georges Co. ,MD. ; died 1755 in MD; married (1) Richard Keene Bef. 1716; married (2) Francis King September 26, 1717 in Prince Georges Co. ,MD. Queen Anne Par..
vi.Elizabeth Sprigg, born Abt. 1703 in Prince Georges Co.,MD. ; died November 1781; married (1) Turner Wootton; married (2) Josiah Wilson 1720.
vii.Mary Sprigg, born Abt. 1704 in Prince Georges Co.,MD. viii.Osborn Sprigg, born Abt. 1707 in Prince Georges Co.,MD. ; died January 07, 1749 in Prince Georges Co.,MD; married (1) Rachel Belt Bef. 1727; married (2) Elizabeth Morris July 11, 1727.
ix.John Sprigg, born Abt. 1709 in Prince Georges Co.,MD. 16. John Redman I, born Abt. 1620; died 1673 in Westmoreland Co.,VA.. He married 17. Mary Harris October 01, 1655 in Westmoreland Co.,VA..
17. Mary Harris, born Abt. 1640.
i.Peter Redman, born 1656 in Westmoreland Co.,VA. ; died Abt. 1685 in Westmoreland Co.,VA. 8ii.John Redman II, born 1667 in Westmoreland Co.,VA. ; died February 1731 in St. Mary's Co.,MD; married (1) Mary // Bef. 1688; married (2) Ann Cox Abt. 1697 in Westmoreland Co.,VA..
iii.Solomon Redman I, born 1670 in Westmoreland Co.,VA. ; died 1698 in Westmoreland Co.,VA; married Anne // September 27, 1693 in Westmoreland Co.,VA. 28. Col. Thomas Sprigg, born 1630 in Kettering,Northumberland,ENGLAND; died December 1704 in Prince Georges Co. ,MD.. He was the son of Thomas Sprigg and Katherine Griffin. He married 29. Eleanor Nuthall 1668 in Calvert Co.,MD..
29. Eleanor Nuthall, born 1648 in Prince Georges Co. ,MD. ; died Aft. September 29, 1696 in Prince Georges Co. ,MD.. She was the daughter of John Nuthall III and Elizabeth Bacon. i.Eleanor Sprigg, born Abt. 1668 in Prince Georges Co.,MD; married (1) Thomas Hillary Abt. 1684; married (2) John Nuthall Bef. March 28, 1701. 14ii.Col. Thomas Sprigg, born 1668 in Calvert Co.,MD. ; died 1730 in Prince Georges Co.,MD; married Margaret Mariarte 1690 in MD..
iii.John Sprigg, born Abt. 1671 in Prince Georges Co.,MD. ; died Bef. December 10, 1705 in Prince Georges Co.,MD. iv.Sarah Sprigg, born Abt. 1673 in Prince Georges Co.,MD. ; died 1736 in Prince Georges Co.,MD; married John Peerce,Jr. in MD; born Bef. 1658; died Bef. 1701.
v.Martha Sprigg, born Abt. 1675 in Prince Georges Co.,MD. ; died 1742; married Thomas Prather 1704; died 1712.
vi.Olive Sprigg, born Abt. 1678 in Prince Georges Co.,MD; married // Nuthall. vii.Elizabeth Sprigg, born 1679 in Prince Georges Co.,MD; married Robert Wade 1698.
viii.Ann Sprigg, born Abt. 1681 in Prince Georges Co.,MD. ; died 1721; married Philip Gittings. ix.Mary Sprigg, born Abt. 1683 in Prince Georges Co.,MD. ; died January 27, 1693; married Thomas Stockett March 12, 1688.
x.Elias Sprigg, born Abt. 1685 in Prince Georges Co.,MD. ; died Abt. 1696. 30. Edward Mariarte, born Abt. 1648 in Killarney,IRELAND; died May 1688 in Anne Arundel Co.,MD.. He was the son of Daniel Moriarity. He married 31. Honor Osborn (O'Brien) 1668. 31. Honor Osborn (O'Brien), born Abt. 1647 in VA.; died April 25, 1702 in Anne Arundel Co.,MD..
15i.Margaret Mariarte, born Abt. 1670 in Anne Arundel Co.,MD. ; died November 1739 in Prince Georges Co.,MD; married Col. Thomas Sprigg 1690 in MD..
ii.Daniel Mariarte, born Abt. 1676 in Anne Arundel Co.,MD. ; died February 1725 in Anne Arundel Co.,MD; married Elinor Beale. iii.Edward Mariarte, died March 20, 1718; married Rachel Grey February 05, 1704.
iv.Elizabeth Mariarte, died 1725 in Prince Georges Co.,MD; married (1) Mathias Clark; married (2) Robert Levett Abt. 1713.
v.Rachael Mariarte, died Aft. 1737; married (1) Benjamin Lawrence December 05, 1701; married (2) John Norwood September 13, 1726. Copyright � 2002 - Laura J. Stewart - All rights reserved. in New Albany, Floyd Co., IN. According to Jennie Murray Stewart's notes for her book of 1915, she states that Susan's body was removed to the new cemetery. She is buried in Fairview Cemetery in New Albany, IN. Her notes did not say where she was buried before. (Probably near Greenville on James Stewart, Jr. Plantation Family Cemetery. I believe Isaac moved her before he moved to Sullivan, IN. or soon after, about 1840/41when they opened Fairview.) Her notes stated that upon moving her body to new cemetery, it had turned to stone, and that it took several strong men to remove it. Her children are listed on Stewart Ancestors Page. Left: Fairview Cemetery in New Albany, Floyd Co., IN. Picture of beautiful headstone, damage done by vandals. in Prince Georges Co., MD. Benjamin Redman & his son-in-law, Ephriam Arnold bought 500 acres in Clark Co., IN. Grant # 69 from William & Lucy Croghan for the sum of $1,250 on Feb. 3, 1801. Deed Bk. 1 p. 177 Clark Co., IN. Lucy was the sister of Gen. George Rogers Clark. This 500 acres comprised the whole of Grant 69 and lay about three miles north of the river of Jeffersonville, Charlestown and Speeds. The countyseat was then in Springville, probably in walking distance of the Redman home. This land is located next to James Stewart, Jr. land. Service - Pvt. 4th Co. Militia, Montgomery Co., Maryland. Proof - Record from Col. John Dudley Long, Genealogist, Garden Apts., Baltimore, Maryland. Benjamin went to Bartholomew Co., IN. to visit his daughter, Mary Ellenor, and her husband, Ephraim Arnold. The floods were on and he died there and was buried three miles north of Columbus in Carter's Chapel Cemetery, in the northern part. Located at junction of US Highway 31 & 11. Graves located in the fenced in section. As you go thru the gate on right, first row. I have seen Nov. 4, 1836 as death date also, but headstone says 1833. I think that the Redman descendants owe a lot of gratitude to Col. John Dudley Long. He was a noted Genealogist for over 50 years. He was born Sept. 1, 1876 in Bartholomew Co., IN. & died February 9, 1965 in Baltimore Co., MD. He was a Col. in the U.S. Cavalry. He graduated from West Point. He was friends with Dwight D. Eisenhower. He donated his large collection of research to the Indiana State Library. There are four file drawers full of information. You cannot go through it in a day. He was a friend of George Edson, founder of The Stewart Clan Magazine for many years. It was in his research that I found a copy of a book that I had been looking for some time. "Origin of The Stewart Family" by Mrs. Jennie Murray Stewart, wife of John Henry Stewart. Shelbyville, Ky. Begun in 1908 and finished Nov. 1,1915. A lot of the notes are taken from her book on the Stewart Line & from Col. Long's research. He is buried in Arlington National Cemetery in Fort Myer, VA. Retired military. After his retirement he moved to Baltimore to be closer to where his ancestors came from so that he could do research. He proved Benjamin Redman's line of ancestry. In 1934 Col. Long & Alice E. Worrell wrote "The Romance of the Redmans". I have many more generations than what I have posted here. If you are interested, please send me an e-mail. This page was last updated on March 17, 2004. *Please note new email address!